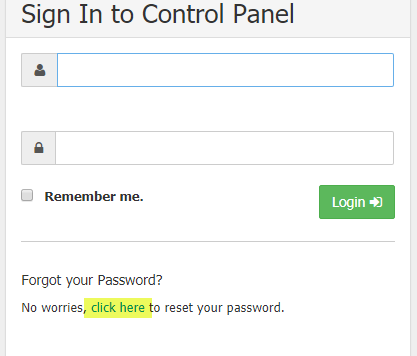 If the admins forgot their control panel password, they can reset password in few easy steps. Note: make sure you have access to the email address associated with your account, you’ll receive one-time password in your mailbox. 2. In the Forgot your password section, click on the link “Click here”. 3. You’ll be redirected to page to enter username associated with your account. 4. Click on Send My Password. If you’ve entered the right username you’ll receive one-time password in your mailbox associated with the account..
5. 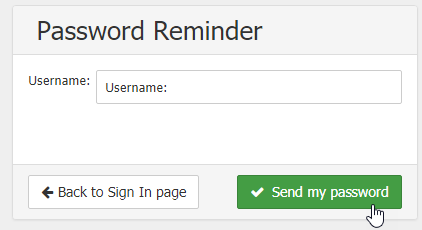 When you receive the one-time password, re-sign in using your email and the received password at WorldPosta admins control panel login page (https://admin.worldposta.com/). 6. Enter your new password, then click Change Password. 7. login again using your new password.